Blogging is the hardest, most rewarding job I’ve ever done. There is no better feeling than getting an email from a reader thanking you for helping them resolve an issue in their life. Those emails are what makes all of the long hours and hard work behind the scenes worthwhile. And being a mommy blogger is hard work! If you are interested in starting a mom blog to make extra money, this post is for you. Before you even start reading this post, I want to let you know it is long, as in almost 5,000 words. I’ve crammed a ton of information into this post and linked out to even more information for you to review. If you only have 5 minutes, please Pin this post to Pinterest or bookmark it. If you want to learn how to start a mom blog and make money, you need to set aside some serious time to review all of the information I’m going to throw at you. Before you can actually start blogging, there is a decent amount of background set-up that you’ll want to do first. I’ve broken down the background set up into 6 areas that I’ll cover in detail. If you take the time to get the right foundation in place for your Mom Blog you’ll have a better chance of making money. I could easily write multiple posts about each of these issues (and in some cases, have), but am going to go into details on each of these areas and give you some advice and support to help you avoid some of the issues I’ve faced. I’m going to be super blunt here, making money blogging is a lot harder than many of the bloggers who are blogging about making money want you to believe. If you are reading this post then you have likely read a few blog income reports and have decided that blogging is a great way to make extra money. It is a great way to make extra money, but in most situations, you won’t start making money right away and when you do start making money it is a very gradual process. For example, I originally started this Mom Blog in 2013 as a hobby. I blogged a few times a year until the middle of 2017 when I decided to actually take my hobby seriously and try to make money. I’m writing this post in March of 2018 and at this point am making $300-500 per month in income. It has taken me a lot of hard work and time to get to this point and I don’t want to give people false expectations. I keep blogging because I see the potential and based on the foundation I’ve laid believe that I’ll be making around $2,500 per month by the end of the year. 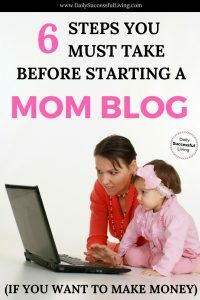 The reason I bring all this up is that prior to starting a mom blog you need to take a hard look at your reasons for starting a blog. If you want to get into blogging make a ton of money quickly, this isn’t the right field for you. If you are in it for the long haul and willing to sacrifice a lot of time with virtually no pay for 6-12 months then blogging may work out for you. Another thing to consider before starting a blog is what you will write about. This is called your niche in the blogging world. Most bloggers recommend having a very narrow niche. They believe that by establishing yourself as an authority figure you’ll be able to attract and find your target audience. Most blogging experts recommend writing to one specific person who is called your avatar. This avatar is a fake person that is seeking answers to varies questions. Your goal as a blogger is to answer their questions. I think writing to an avatar and finding your narrow niche is a great blogging method for most people. I struggle in this area though. I love to write about a variety of subjects and have really struggled to narrow down my blog. I kept trying to niche down over and over again but finally decided that it was taking the fun out of blogging for me and started writing about subjects that interested me again. As soon as I began spreading out my wings and writing about a variety of subjects my page views started to increase. This is totally my opinion and you’ll find tons of bloggers who don’t agree, but I personally feel that if you structure a blog properly you can write about a variety of topics and still make money. I personally write about personal finance, parenting, outdoor activities, blogging, becoming an entrepreneur and a bunch of other small miscellaneous topics like sleep training and gestational diabetes. Either way, the goal is to find a niche that works for you. Ideally, you start out with 1-2 related subjects and then expand from there. The one word of caution I have is to make sure that your niches are subjects that actually interest you. If you become a successful blogger you may end up writing about your subject for years. Don’t get so caught up in a fun idea that you forget about what happens in 3-5 years. I hate to sound money hungry, but if you treat your mom blog as a business from the beginning you will be more successful in the long run. It is super frustrating to write post, after post, after post and not make any money. Even if you are a hobby blogger it is nice to make some money. As you are brainstorming your niche, you need to be realistic. Look at what other bloggers in your niche are doing for ideas, study their blogs carefully and see what attracts you to purchase products from them. Bloggers typically make money in four ways. Bloggers will link to products they like and recommend. For example, if you purchase a product I recommend on this blog I may receive a small commission. One of the best examples of this is links to Amazon products. Virtually all bloggers link to Amazon since they sell virtually everything. I personally make $30-50 per month from Amazon sales but know that some of the DIY bloggers make thousands of dollars linking to their products. I personally don’t do sponsored posts, but companies will pay bloggers to write about their product in a post. Money from sponsored posts is almost always dependent on traffic numbers. The more traffic you get the more money you can make from sponsored posts. I’ve received offers to write posts for $500 but didn’t feel like the products worked for my blog. This is money from all of the wonderful ads you see throughout my blog. Depending on the ad, I’ll either receive money from impressions or from people clicking on the ads. Most bloggers begin by using Google AdSense ads and make less than $30 per month. Once you have more than 25,000 sessions per month you can begin applying to the higher quality ad networks and at that time will begin making significantly more money. I just switched to Monometric last month and am tracking to make around $150 this month in ad review which will be triple my highest month with AdSense. This is typically the last form of income a blogger begins to develop and is often the most lucrative. Most bloggers will eventually write a book or develop an e-course related to their chosen niche. For example, I recently published a course on Finding and Eliminating spending leaks in your budget. To date, I’ve made just under $200 from this course. However, now that the course is created, it has become a source of passive income. I know it sounds pretty simple to make money blogging, particularly with affiliate linking. All you do is link to a product and people will purchase that product and you’ll make money. Before you get all excited though, think about your own purchasing habits online. How often do you go to a random blog, read about a random product and then purchase that product? Not very often. It takes a lot of behind the scenes strategy to get readers to click on a link you share and even more strategy to actually get them to purchase a product you recommend. Don’t just assume that you can talk about your favorite lipgloss and suddenly have hundreds of people clicking through to purchase it. Where you even tempted to click on the link? No, I gave you no reason to be interested in my favorite lipgloss (it is awesome stuff though). It takes a lot of strategy and work to get people to click on your links so that you actually make money. Making money from blogging takes a lot of work and you have to set up your blog correctly from the beginning. I never even thought about getting traffic to my blog when I first started. I just assumed that people would find me. #truthbomb – it doesn’t work that way. I personally feel like I’m a pretty decent writer, I write about interesting stuff and once people find my blog they usually stick around and check out a few posts. However, getting them to my blog in the first place takes a lot more work then you realize. Again, think of yourself. How did you find this blog post? Based on my traffic patterns you probably found my blog via Pinterest or Google. I’ll go into this in detail below, but I have to spend a lot of time on those platforms to get you to this blog post. You will never be a successful blogger unless you can get traffic to your blog. This subject needs 5-10 additional blog posts to even begin covering this issue, but I do want to cover the basics. To get traffic to your blog you will need at minimum an SEO strategy and a social media strategy. SEO stands for search engine optimization. This essentially means that you are optimizing your posts so that Google can find them. This means that you chose a phase, often called a long tail keyword that people are searching for and then write a post around that particular phrase. For example, the phrase that I chose for this post was “How to start a mom blog and make money”. You’ll notice that throughout this post I’ve used this phrase and varies related phrases. 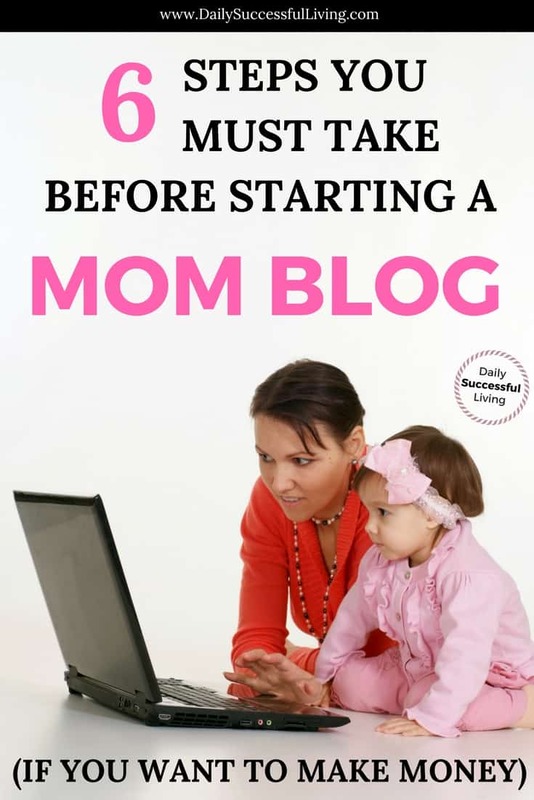 This tells Google that if someone is searching for information on starting a mom blog or information on making money with a mom blog that this post has information that will help them. If I do my job as a writer correctly then Google, Bing & Yahoo will begin showing this post when someone searches for variations of that key phrase. There is a ton more too it, but this at least gives you a general idea of how SEO works. 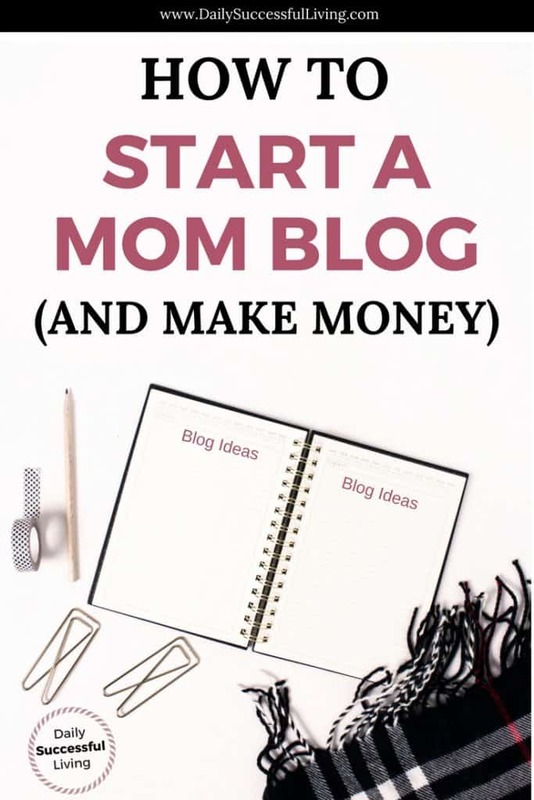 If you want to start a mom blog and make money (notice the phrase), then you have to incorporate SEO into your blog from the very beginning. I completely ignored SEO when I started my blog and am just now starting to play catch up. It was a huge mistake on my part. If you want to be a successful mom blogger, you need to begin using SEO right away. If you are new to SEO I highly recommend checking out PotPieGirl’s (she is amazing) ebook 10 Step Blog Post SEO Improvement Plan. Her SEO methods are very straightforward and will help you use SEO right from the beginning. The second major traffic source for bloggers is via social media. Social media includes Facebook, Twitter, Linkedin, Instagram, & Google Plus, Stumbleupon, Reddit and a bunch more random options. Each of these platforms has negative and positives for bloggers. Most Mom Bloggers tend to focus on Instagram and Facebook. They are great platforms for sharing mom-related content. If you have already established a strong presence on these platforms using them for your blog will make your life easier. However, don’t expect to be able to share a link to your blog on your Facebook profile and get a tone of instant traffic. All you will do is annoy your friends and kill your reach. Social media is called social media for a reason, your number one job as a blogger is to market your mommy blog which means you need to learn to connect with your readers. When you learn to successfully connect with your audience your social media engagement will improve significantly. I recommend finding one platform that you love, building your presence and then gradually expanding from there. Pinterest is no longer considered a social media platform by bloggers. It is a visual search engine which places it right in the middle. If you want to be a successful mom blogger and actually make money you need to have a Pinterest strategy from the very beginning. Please don’t ignore this piece of advice! Even if you haven’t started your blog yet, start developing a presence on Pinterest. When you do Pinterest right it will send you a ton of free traffic. Here is the hard part though, doing Pinterest right is a whole lot harder than it used to be. I have spent hundreds of hours on Pinterest and am just now starting to see results. However, the result can be amazing. My total sessions for the month of February (2018) was 21,330 (24,706 page views), of those sessions 17,571 came from Pinterest. In comparison, back in May (2017), my total session was 1,851 (2,516 page views), of these sessions 663 came from Pinterest. In the last 10 months, I’ve spent a ton of time learning how to use Pinterest and building up my traffic. Now that I have my Pinterest strategy mostly worked out and am getting decent traffic, I’m in the process of reworking my most popular posts to get Google SEO traffic. Getting traffic to your blog is a critical component of your success. Your Mom blog will never be successful, nor will you make money unless you start with the right foundation. Once you have chosen a niche, determined you traffic streams and figured out the basics of how you are going to make money with your Mom Blog you need to figure out your name. Naming your blog is seriously one of the hardest parts of this whole process. I changed my name so many times and went back and forth forever trying to find the perfect name. You want a name that will accurately represent what you write about and who you are, but at this same time will leave you room for growth. You don’t want to establish a web presence and then two years down the road end up rebranding because you changed your mind. I wrote a detailed blog post on How to Create a Catchy Blog Title that I recommend reading, but here is the cliff notes version. Write down all the phrases you can think of related to your niche and then use Thesaurus.com to get even more creative. I know it sounds crazy, but you need 100+ potential items to get started. Narrow down your list to 50-60 potential names. I know that sounds like a lot of names, but virtually all of them will already be used. I search using Godaddy (but prefer not to purchase them). The goal is to find a .com name. They are getting harder and harder to find, so you may have to be creative. Just make sure you aren’t using a similar name to another blogger or company, you don’t want to deal with infringement issues later. Does the blog name reflect who you are and what you are trying to accomplish? In other words, does the domain name tell give people a general idea of what to expect from your blog? What are the marketing prospects associated with your name? Is this a name that will translate well to future monetization options? Will it work with any products you develop? Is the name easy to read and easy to spell? Don’t get too creative and spell cat with a K instead of a C. Then you are stuck educating people on how to spell your name to find your site. Does the name you chose stand out from similar blogs? Are there other bloggers with similar names? Will the name connect with your readers? Are the applicable social media names/handles available? There is nothing worse than building up brand recognition to find that someone is using the same name on twitter and posting inappropriate content. Ideally, you’ll want to get the same name across all platforms, but it rarely happens. Once you have figured out a name it is time to go technical for a little while. I know that the next two sections sound kind of scary, but honestly if I can start a blog anyone can do it. The hosting and template/theme companies have done everything they can to make the process simple. I am a non-technical person, so I need a hosting company that is super easy to use and caters to beginning bloggers. This goes against all the rules of affiliate marketing, but I’m going to recommend two companies for you to review. Most beginning bloggers end up starting with BlueHost. I started with them and loved them. Their customer support was excellent and the setup was super easy. They literally did everything for me. I made the mistake of switching to Godaddy since it was a company I was using for some work products. At the time, I thought it would be easier to have everything hosted on the same platform. Big mistake! You can read about some of my issues with Godaddy in this post, but long story short, I don’t recommend them. When I finally had enough of Godaddy, SiteGround was having a massive sale so I ended up switching to them instead of going back to Bluehost. SiteGround has been awesome and I recommend them as well. Both of them have great beginner programs that are designed for first time bloggers. I do think that the initial set up is a bit easier through Bluehost. Either way, I’d probably just join one or the other based on who is running the best sale at the time. The website theme you choose for your Mom Blog will determine the look and feel of your website. Everything you see visually on a website is determined by the background settings of your theme. This is all the crazy code stuff that you don’t want to see or deal with. Different themes are designed for different styles of websites. I wrote a super detailed post on this subject called – Starting a Side Hustle? How to Choose a WordPress Theme. For more detailed information check out this post since it goes into detail about how to choose a theme and what to look for in your theme company. Here is the most important thing I recommend for a new mom blogger. You can waste hundreds of hours and a whole lot of money trying to make your website look perfect (I know because I did it) and it won’t matter if your content isn’t good. I’ve gone to amazing looking websites with poor content and will never go back. On the other hand, I’ve gone to some pretty crappy looking sites with amazing content that I return to again and again. Yes, it is important to have a clean, nice looking website, but don’t waste too much time and money in this area until you know that you can make money blogging and are going to actually continue blogging. It is super easy to get caught up in creating the perfect look and never get around to actually publishing your blog until it is perfect. To be blunt you won’t get much traffic in the beginning, so focus on your content and then as you begin to gain traffic and make money then spend some money for a professional designer. There are literally hundreds of free theme’s available that will help you get started. If you do have a little bit of money, it is nice to choose a basic theme that gives you a few bells and whistles. I personally use the Refined theme by Restored 316 for this blog and love it. It was inexpensive and very easy to set up and customize. Their customer service is awesome and super helpful. I’m using the Divi Theme by Elegant Theme’s for a work project and really, really love the flexibility their themes offer. If you want to do a bit more then the standard stuff, I recommend Divi. However, I have an IT support staff at work and have had to use them a few times. If you aren’t technical and just getting started stick with the basics and expand later. I’m going to go against conventional blogging wisdom in this area as well. Having a nice logo and color pallet/look and feel for your blog is important and as you begin to build I think it can be a critical component of your growth. However, as a beginning mom blogger, this is another area I feel is pushed too much on early bloggers. Most new mom bloggers for the first 6 months are trying to find their voice. They are trying to find that secret sauce that sets them apart. As you begin to develop your voice, the look and feel of your website is going to start to naturally occur. You’ll find as you develop graphics for your site that you will naturally be drawn to specific colors and types of images. After a few months, you’ll notice that you’ve accidentally started to develop your brand. To develop my look, I created a secret Pinterest file where I put graphics, logos, color pallets and images I liked. Gradually I noticed a theme with my colors. Once I noticed a theme, I gradually began to use those colors more and more frequently. I do want to note, that my branding and logo is still very much a work in process. Once I have made a bit more money I’m planning to have a logo professionally designed and will finalize my colors. Branding is very important and I do think it is a critical component of your business. However, I don’t think it is something you need to stress about immediately as a new mom blogger whose goal is to make money. This goes back to the blog theme argument. As a new blogger, it is too easy to get caught up in visual things that don’t matter and quite frankly aren’t going to affect your money making goals in the beginning. I’m a business person, so I want to touch on an area most people ignore when they start a business. Before jumping into blogging you need to remember that if you want to actually start a mom blog and make money, you need to treat it as a business. This means you need to review the legal structure of your blog. There are three major type of organizational structure, Sole-Proprietorship, Limited Liability Company (LLC) and a Corporation (INC). Each of these companies has its strengths and weaknesses depending on the company you are starting. Virtually all small businesses are Sole Member proprietorships or LLC’s. The chances of you needing a Corporation are pretty slim at this point in the game. A sole proprietor company is the easiest to set up since it can be tied to your social security number and is easily managed on your tax returns as a schedule C.
Personally, at a minimum, I recommend setting up a trade name which is a form of a sole proprietorship. With a trade name (which can be your own name) you can do business using your own social security number and open bank accounts in the business name. Trade Name filing is typically very simple. Again, you’ll need to look up the laws in your state, but in Arizona, you can file a Doing Business As (DBA) for your Trade Name for $10. In most states, you don’t legally need to do a trade name in order to conduct business under your name and social security number. However, by filing your name with the state you are beginning the process of legally using a name. This means that later if you want to trademark or grow your business you’ll have an easier time establishing use. If you want a greater level of business protection I recommend opening a Limited Liability Company (LLC). An LLC provides a layer of protection between your personal name and the name of the business. All this is a fancy way of saying it keeps your personal assets separate from the business assets. Of course, this protection is based on the fact that you run your business as a business. This means that you have separate bank accounts for your business and that you don’t co-mingle funds. As a business owner, it is critical that you learn the basics of bookkeeping. I know this sounds like the most boring thing in the world, but use a program like Freshbooks to manage your business accounting. Once you have your LLC it is very easy to file for a Tax Identification Number (TIN) through the IRS. This is also called an Employer Identification Number (EIN). Filing an EIN number is super simple and can be done online through the IRS Website. It will literally take you less than 5-10 minutes. There are a ton of companies who will charge you to do it – don’t waste your money. Your EIN is essentially your company’s social security number. It allows you to open bank accounts and files taxes. Keep in mind that for most single member LLC’s (this includes you and a spouse), it is still typically easier to file your return on a schedule C as part of your personal filing. Personally, I have chosen to open an LLC. I like the added legal benefits that come from a full legal entity. In Arizona, opening an LLC takes 15-20 minutes, costs $50 and takes 3-4 weeks to get the final paperwork. In my opinion, a small blogger does not need to incur the cost of opening a corporation. Once you have become established and are making money, selling products and expanding into different areas I highly recommend reassessing this decision with your accountant. I personally believe that anyone can start a Mom Blog. Once you get over a few minor hurdles, it is surprisingly simple. The hard part is actually making money with your mom blog. I’m still trying to figure out all of the details of this myself but can promise that if you follow the steps I’ve outlined above and do your research you’ll have a significantly higher chance of success. Looking back, I made so many mistakes in my blogging career and wasted so much time. Learn from my mistakes and hopefully, within 6-12 months you’ll begin making money and gain the freedom you’ve been dreaming off.